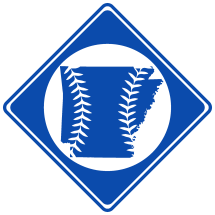 Edward Manning Orr, born February 5th, 18861 in Arkansas, was a professional baseball player from 1906-1907 with the Little Rock Travelers and in 1908 with the Argenta Shamrocks. As a youth, Orr gained a favorable reputation playing amatuer baseball in Little Rock, though he showed little interest in playing professionally. After the Little Rock Travelers suspended catcher Andy Anderson indefinitely for assaulting an umpire in June 1906, Orr was recruited to take his place.2 Orr agreed, but refused to sign a contract or accompany the team on road games.3 Nevertheless, while playing part-time with Little Rock, Orr was reportedly recruited by the New York Giants of the National League,4 but turned the offer down.5 Total, Orr played 20 games with Little Rock in 1906 and hit .239. In 1907, Orr continued to play part-time with Little Rock. Though he initially started the season without being under contract,6 he later signed with Little Rock to remove doubt in regards to his eligibility.7 After performing poorly and experiencing trouble with his arm, Orr chose to retire from professional baseball during mid-season.8 Notwithstanding, he continued to play amauter baseball in Little Rock for many years. He also briefly played with the Argenta Shamrocks in the 1908 Arkansas State League. 1. Orr's WWI Draft Card. 10. Orr's FindaGrave.com page .